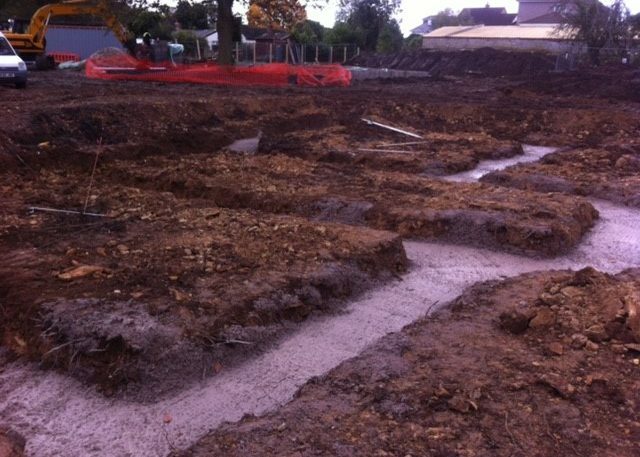 Foundations and Building site excavations. If the soil is sandy, the ground can freeze and pushes up as it expands. If the soil is clay-like, in a drought the ground can shrink causing cracking and disturbance to the foundations. 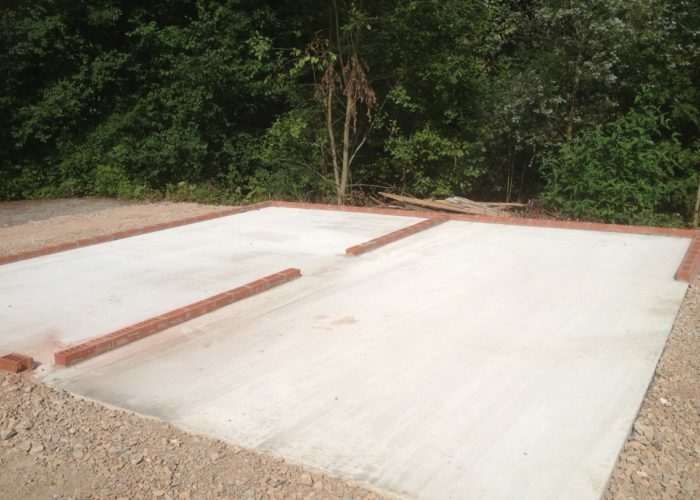 Traditional Shallow Strip – The extra concrete required creates additional material expense but the process is easier and less time consuming. The trench is usually around 400mm wide and 900mm deep and can be reinforced. 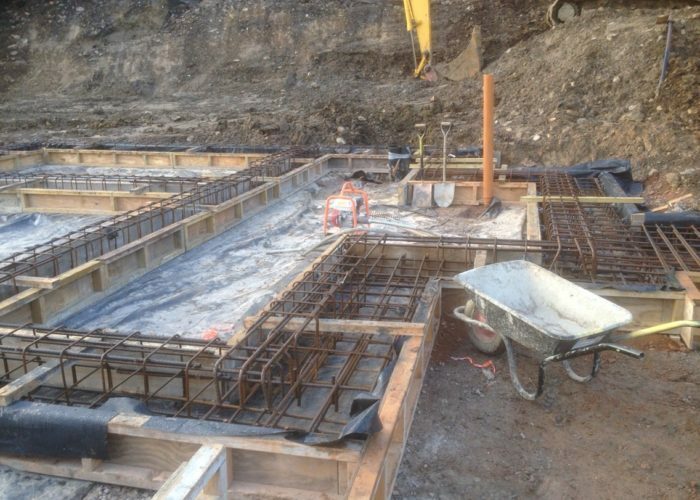 Wide Strip – as above but wider and reinforced to save on concrete expense. Deep Strip or Trench – narrower trench filled with concrete up to two bricks of ground level.